Background: The most common method employed for diagnosis of scrub typhus is serology. It is widely known that demonstration of ≥4-fold rise in titers of antibody in paired sera is required for diagnosis. However, for guidance of initial treatment, there is a need for rapid diagnosis at the time of admission. Therefore, there is a need for standardized region specific cutoff titers at the time of admission. Materials and Methods: A total of 258 patients of all age groups with clinically suspected scrub typhus over a period of 24 months (October 2013-October 2015) were enrolled. 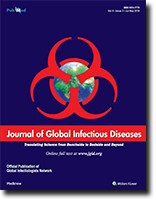 Serum samples of these patients were subjected to immunofluorescent antibody (IFA) for immunoglobulin M (IgM) (Fuller Labs, USA) with dilutions of 1:64, 1:128, 1:256, and 1:512. Serum samples of all 258 patients were subjected to IgM ELISA (Inbios Inc., USA). Any patient with response to antibiotics within 48 h accompanied by either presence of an eschar or positivity by polymerase chain reaction was taken as positive. Receiver operating characteristic (ROC) curve was drawn to generate cutoff for these tests. Results: A total of 20 patients were diagnosed as cases of scrub typhus. The ROC curve analysis revealed a cutoff optical density value of 0.87 with sensitivity and specificity of 100% and 94.12%, respectively. ROC curve analysis of IFA revealed sensitivity and specificity of 100% and 93.5%, respectively at 1:64 dilution. Conclusion: Considering cost constraints, centers in and around New Delhi region can use the cutoffs we determined for the diagnosis of scrub typhus. Aims: To devise nested multiplex polymerase chain reaction (NMPCR) protocol for detection of mucosal human papilloma viruses (HPVs) and typing of HPV-16 and -18 in formalin-fixed, paraffin-embedded (FFPE) tissues of carcinoma cervix (CaCx). Settings and Design: Cross-sectional observational study. Materials and Methods: NMPCR was done for simultaneous detection of HPV, targeting 134 bp L1 capsid gene employing GP+/mGP+ primers and typing of genotypes-16 and -18, targeting E6/E7 gene from 34 FFPE tissue blocks of CaCx and cervical intraepithelial neoplasia (CIN). Detection of 142 bp consensus sequence of L1 capsid gene was performed by nested PCR employing MY/GP+ primers. Sequencing of selected PCR amplicons of the later protocol obtained from control cell line DNA and 5 select samples were done for validation of the NMPCR protocol. Statistical Analysis Used: Calculation of percentage from the Microsoft Excel Software. Results: Of 26 FFPE samples of CaCx, 17 (65.3%) samples were found positive for HPV by NMPCR. Amplicons of 142 bp L1 capsid gene employing MY/GP+ primers were observed in 11 (42.3%) samples of CaCx. Nearly 25% samples of CIN were positive for HPV. On sequence analysis, it was observed that the sample typed as HPV-16 by NMPCR was found to be the same on sequencing of amplicons obtained after MY/GP+ nested PCR. Conclusions: This study indicates the usefulness of our NMPCR protocol for detection of mucosal HPVs and typing of HPV-16 and -18 from FFPE tissue samples of CaCx. The NMPCR protocol may be used to detect HPV and type common genotypes-16 and -18 in fresh tissue of cervical biopsy or scrape samples for screening of CaCx. Context: Human immunodeficiency virus type 2 (HIV-2) infections are mainly restricted to West Africa; however, in the recent years, the prevalence of HIV-2 is a growing concern in some European countries and the Southwestern region of India. Despite the presence of different HIV-2 groups, only A and B Groups have established human-to-human transmission chains. Aims: This work aimed to evaluate the phylogeographic inference of HIV-2 Group B worldwide to estimate their data of origin and the population dynamics. Materials and Methods: The evolutionary rates, the demographic history for HIV-2 Group B dataset, and the phylogeographic analysis were estimated using a Bayesian approach. The viral gene flow analysis was used to count viral gene out/in flow among different locations. 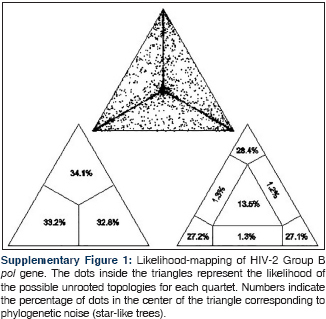 Results: The root of the Bayesian maximum clade credibility tree of HIV-2 Group B dated back to 1957. The demographic history of HIV-2 Group B showed that the epidemic remained constant up to 1970 when started an exponential growth. From 1985 to early 2000s, the epidemic reached a plateau, and then it was characterized by two bottlenecks and a new plateau at the end of 2000s. Phylogeographic reconstruction showed that the most probable location for the root of the tree was Ghana. Regarding the viral gene flow of HIV-2 Group B, the only observed viral gene flow was from Africa to France, Belgium, and Luxembourg. Conclusions: The study gives insights into the origin, history, and phylogeography of HIV-2 Group B epidemic. The growing number of infections of HIV-2 worldwide indicates the need for strengthening surveillance. Objective: To study the clinical profile and outcome of dengue fever in children at a tertiary care hospital in Puducherry. Materials and Methods: All children (0-12 years of age) diagnosed and confirmed as dengue fever from August 2012 to January 2015 were reviewed retrospectively from hospital case records as per the revised World Health Organization guidelines for dengue fever. The diagnosis was confirmed by NS1 antigen-based ELISA test or dengue serology for IgM and IgG antibodies, and the data were analyzed using SPSS 16.0 statistical software. After collecting the data, all the variables were summarized by descriptive statistics. Results: Among the 261 confirmed cases of dengue fever non-severe and severe dengue infection was seen in 60.9% and 39.1%, respectively. The mean age (standard deviation) of the presentation was 6.9 + 3.3 years and male: female ratio was 1.2:1. 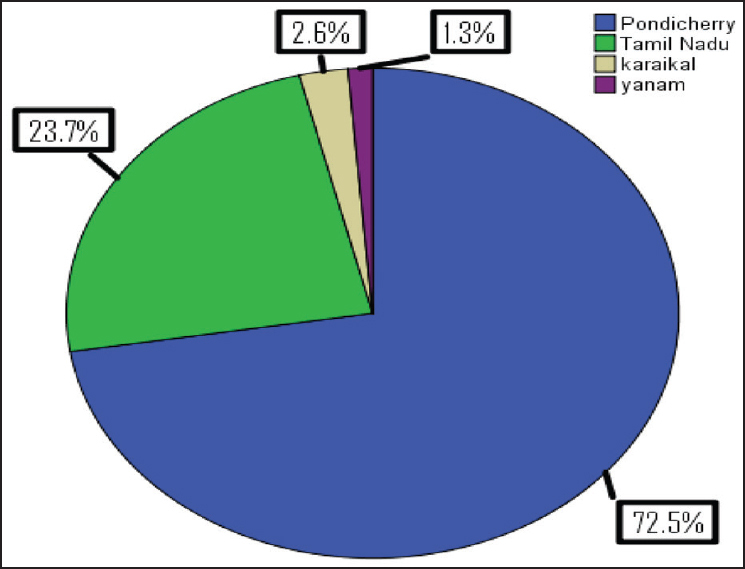 The most common clinical manifestations were fever (94.6%), conjunctival congestion (89.6%), myalgia (81.9%), coryza (79.7%), headache (75.1%), palmar erythema (62.8%), and retro-orbital pain (51.3%). The common early warning signs at the time of admission were persistent vomiting (75.1%), liver enlargement (59.8%), cold and clammy extremities (45.2%), pain abdomen (31.0%), hypotension (29.5%), restlessness (26.4%), giddiness (23.0%), bleeding (19.9%), and oliguria (18.4%). The common manifestation of severe dengue infection was shock (39.1%), bleeding (19.9%), and multi-organ dysfunction (2.3%). The most common complications were liver dysfunction, acute respiratory distress syndrome, encephalopathy, pleural effusion, ascites, myocarditis, myositis, acute kidney injury, and disseminated intravascular coagulopathy. Platelet count did not always correlate well with the severity of bleeding. There were six deaths (2.3%) and out of them four presented with impaired consciousness (66.6%). The common causes for poor outcome were multiorgan failure, encephalopathy, and fluid refractory shock. Conclusion: There has been a resurgence of dengue fever with a change in the pattern of presentation during the recent epidemics. Clinical vigilance and awareness regarding the changing epidemic pattern and timely detection of cases are vital to reduce mortality and morbidity due to severe dengue infection. Streptococcus pneumoniae vertebral infections have rarely been reported. Herein, we report a case of pneumococcal vertebral osteomyelitis with paraspinal and epidural abscesses as well as concomitant bacteremia following epidural injection. 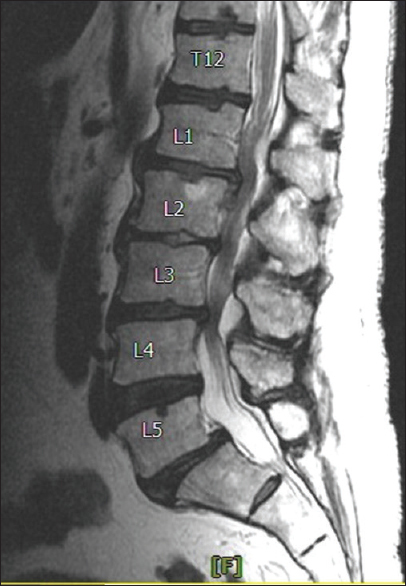 This will be the second case in the literature reporting pneumococcal vertebral osteomyelitis related to epidural manipulation.